Sam is a gentle giant with a heart of gold. 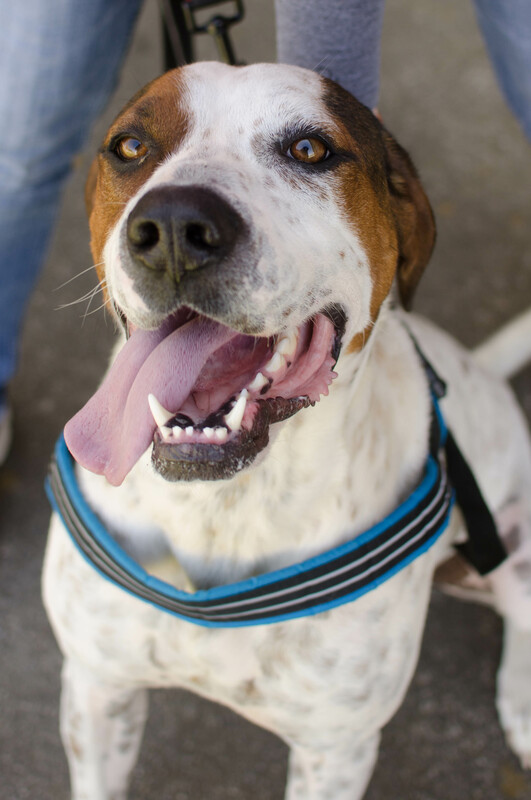 He’s a 3-year-old, brown and white Pointer mix weighing in at about 75 pounds, but when you see his big goofy grin, you’ll see who Sam truly is: an intelligent, sweet boy who simply wants to be loved. 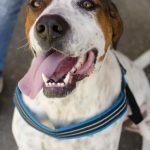 He enjoys the company of other dogs, especially if they are willing to run and jump around with him. But his greatest joy comes from spending time with his humans. He simply loves to be petted, hugged, and snuggled. Sam spent several weeks training in the Pawsitive Prison Program, and he obeys most of the commands he learned there. 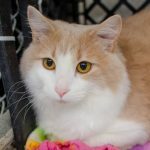 He is hoping to find a new home with someone who is willing to continue teaching him and who will return the affection he so readily gives. 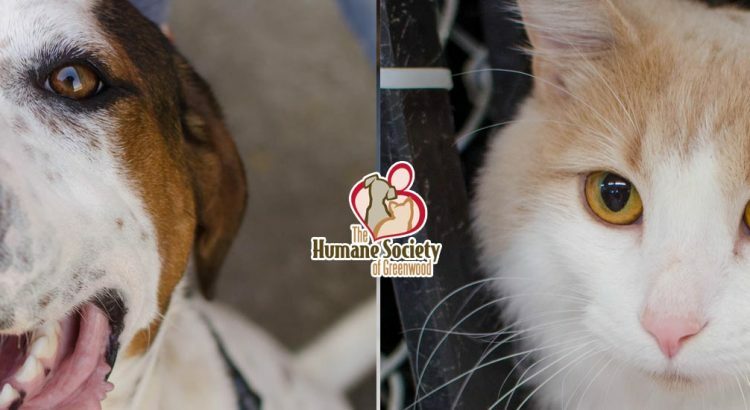 When this handsome fellow rubs up against your leg and begs for attention, he’s sure to steal your heart. 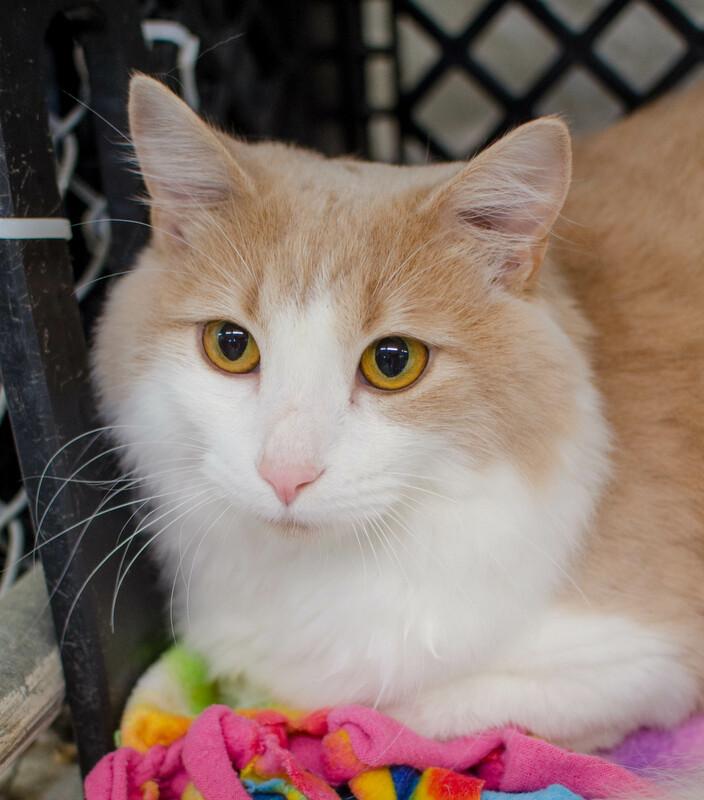 Harley is an 11-month-old buff and white kitty with super-soft, medium-length hair and big golden eyes. He’s quite the talker, cooing and purring as he rolls around on his bed, looking relaxed and comfortable. Harley is very active as well, rearranging his sleeping area, tossing around his toys, and basically showing off to anyone who will watch. He loves getting petted and scratched, and he doesn’t mind being picked up gently, but when he’s ready to get down, he’ll let you know. So he’d probably do best with older children who won’t be tempted to just scoop him up and carry him around.